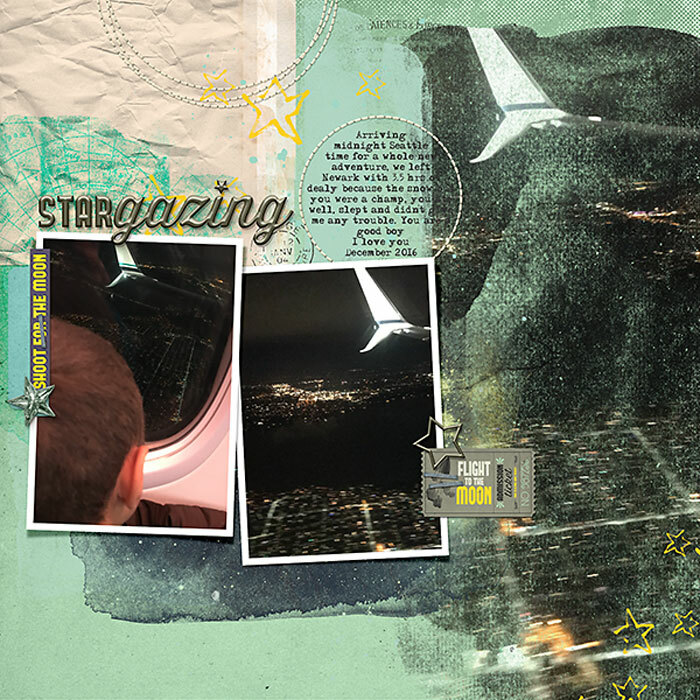 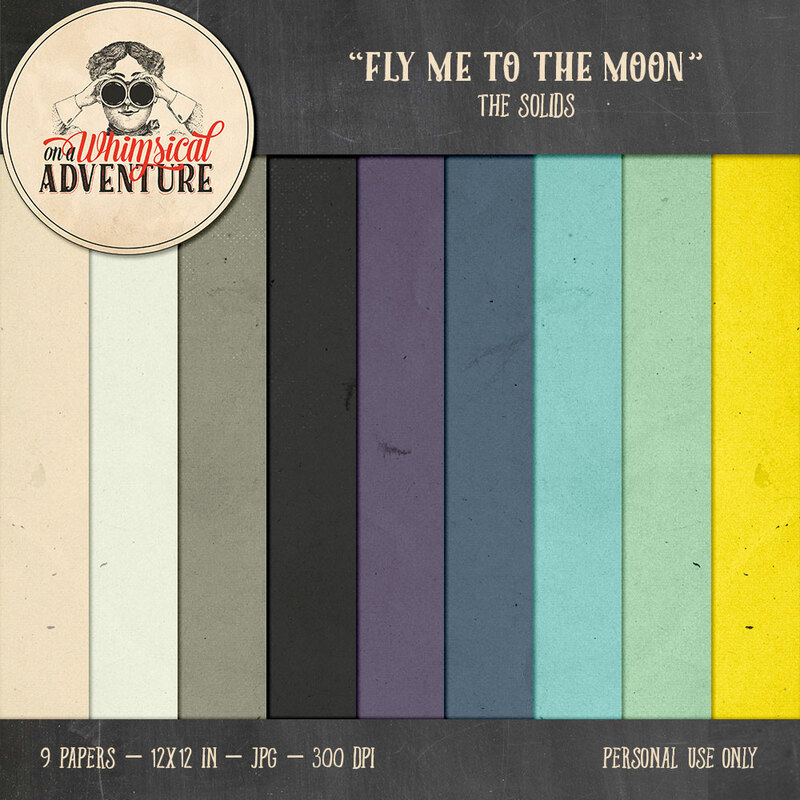 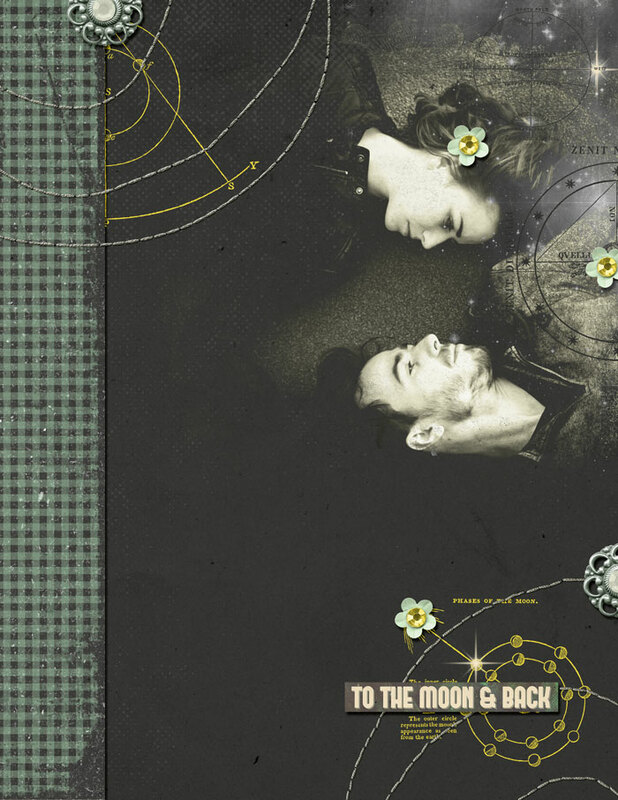 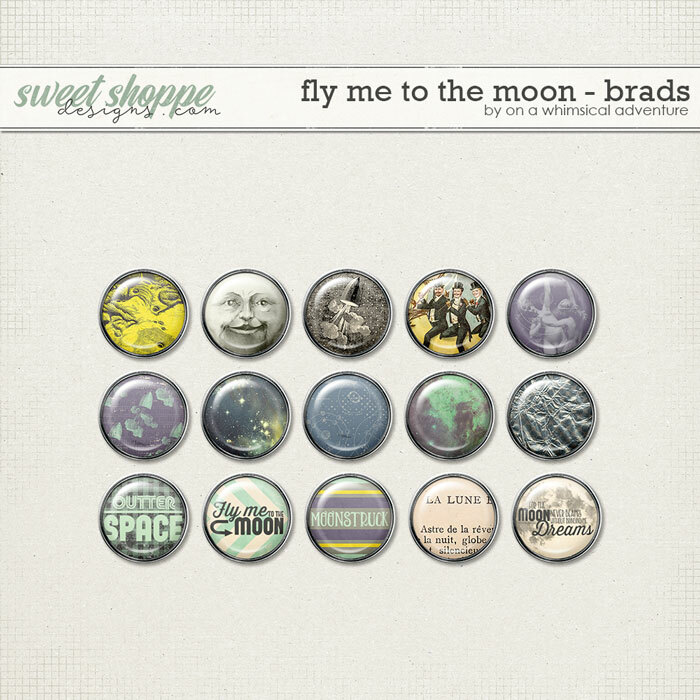 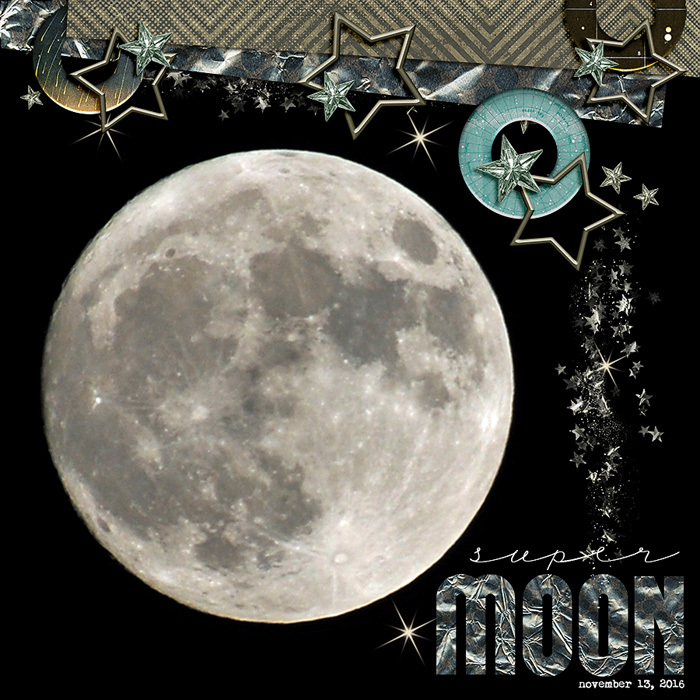 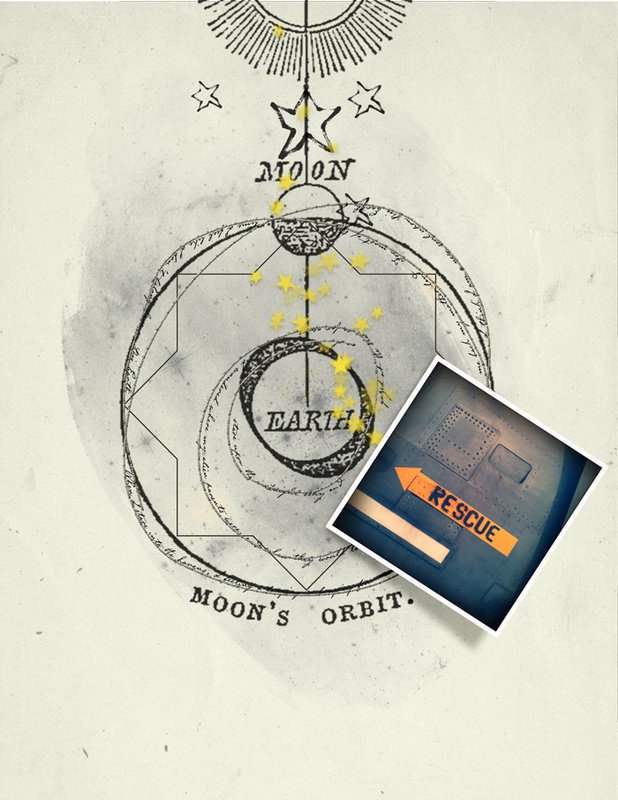 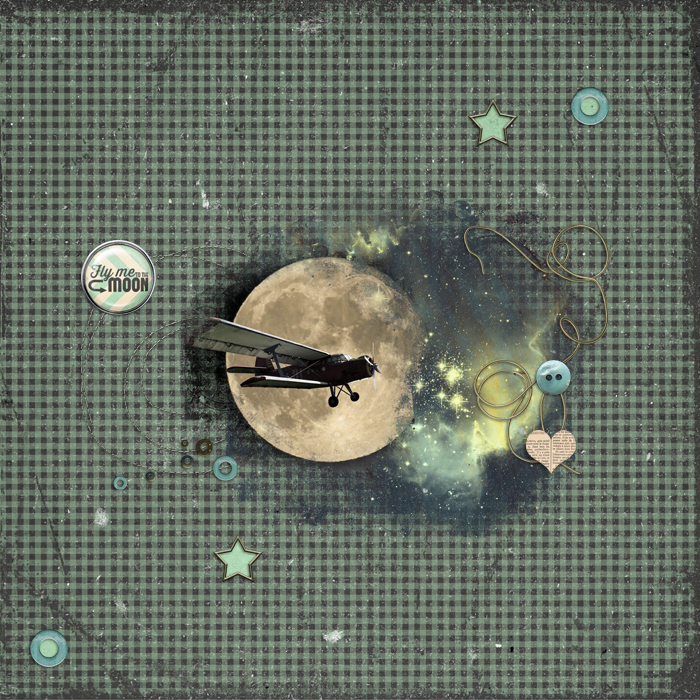 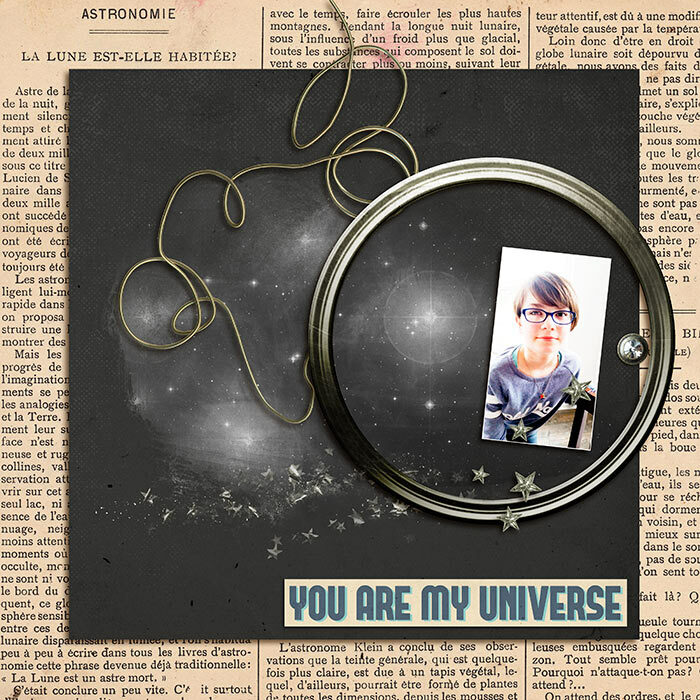 Fly Me To The Moon is also one of my ‘older’ digital scrapbooking collections (created about a year ago) and I’m re-releasing a revamped version of it at Sweet Shoppe Designs on this last day of the year. 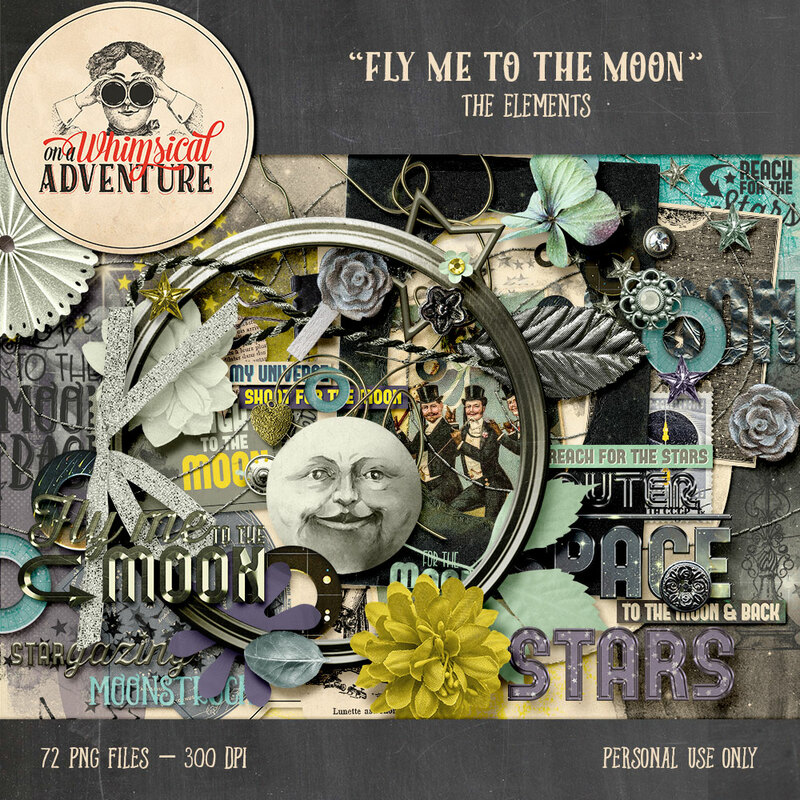 I felt like the elements pack needed a few more things and so I’ve added thirteen extra PNG files and two coordinating alphas. 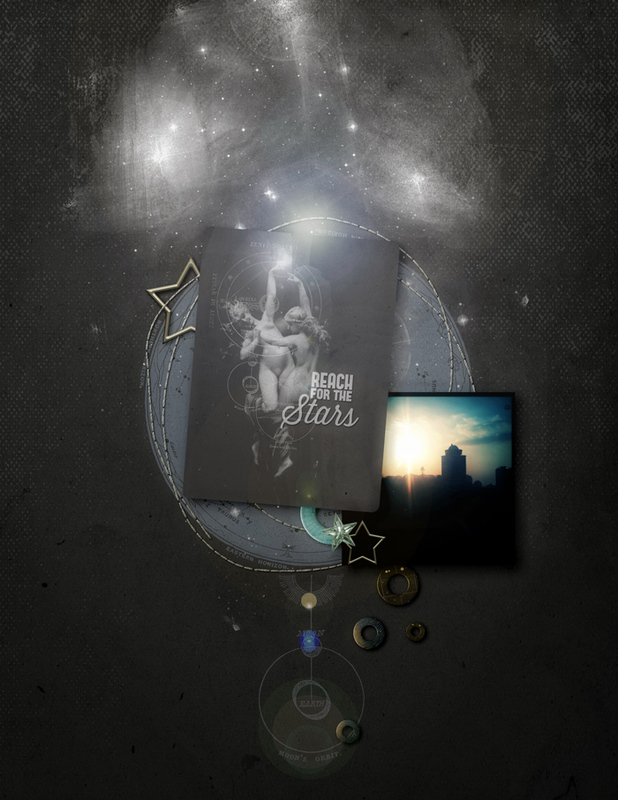 I’m also including the word art in the kit, so the words are no longer available as a separate pack. 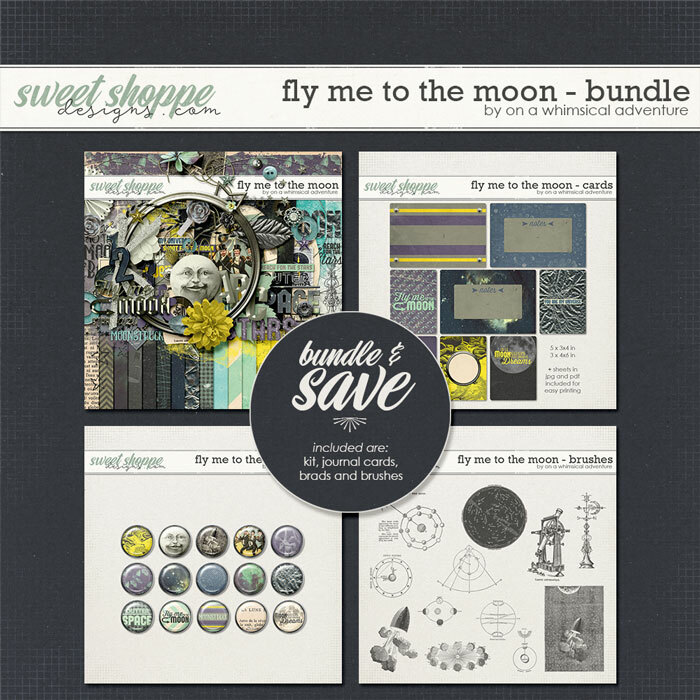 Grab the bundle at Sweet Shoppe Designs and save! 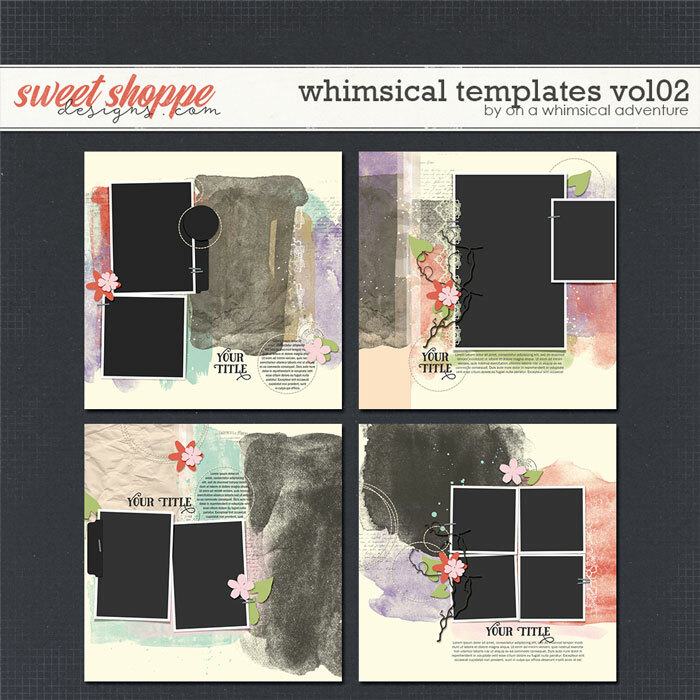 Grab the revamped version of the kit at Sweet Shoppe Designs. 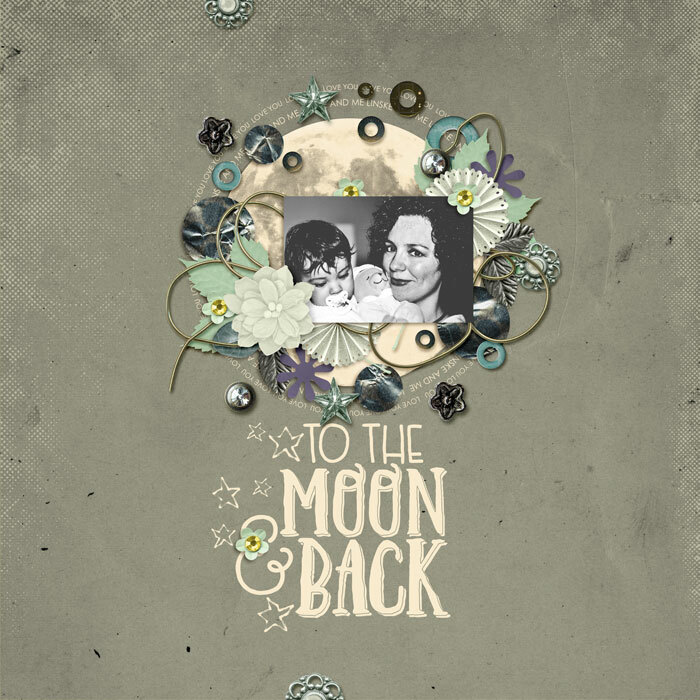 A new pack, included in the kit at Sweet Shoppe Designs, but separately available in my Etsy shop. 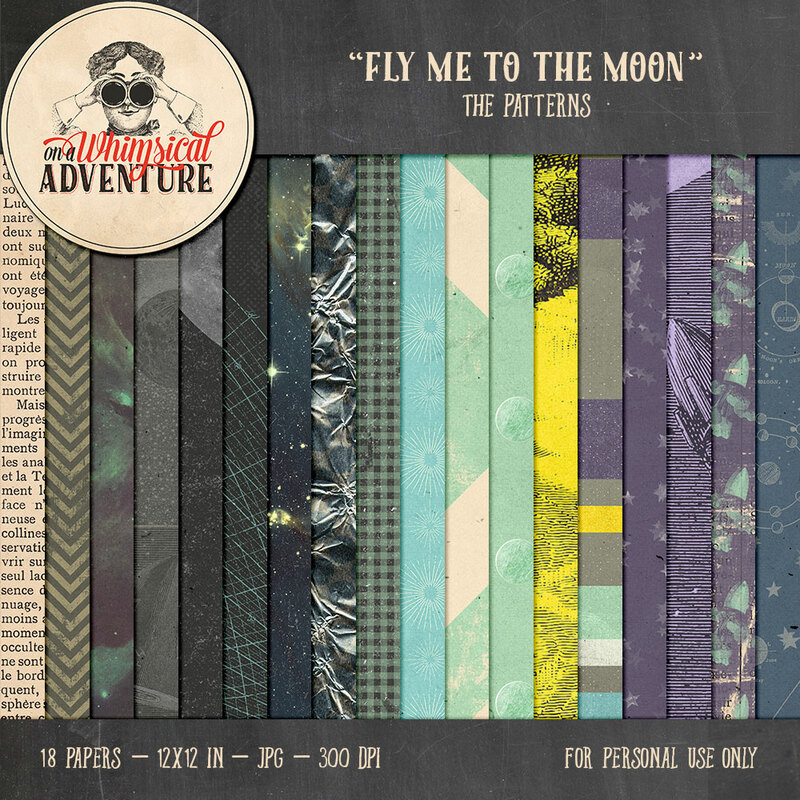 Two alphas, coordinating with the Fly Me To The Moon Collection. 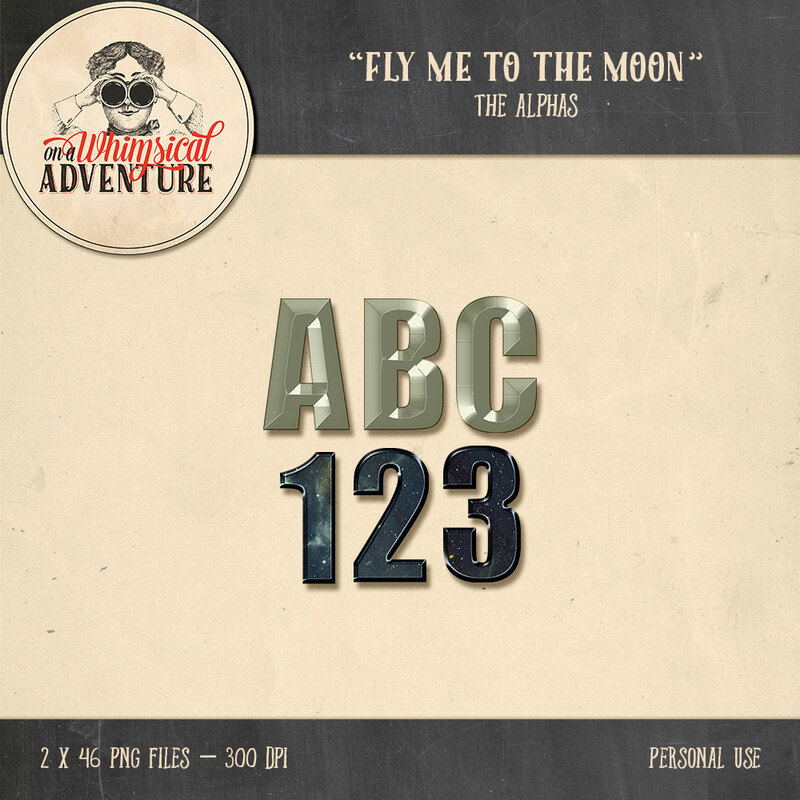 Each alpha is comprised of 26 letters, 10 numbers and 10 symbols. 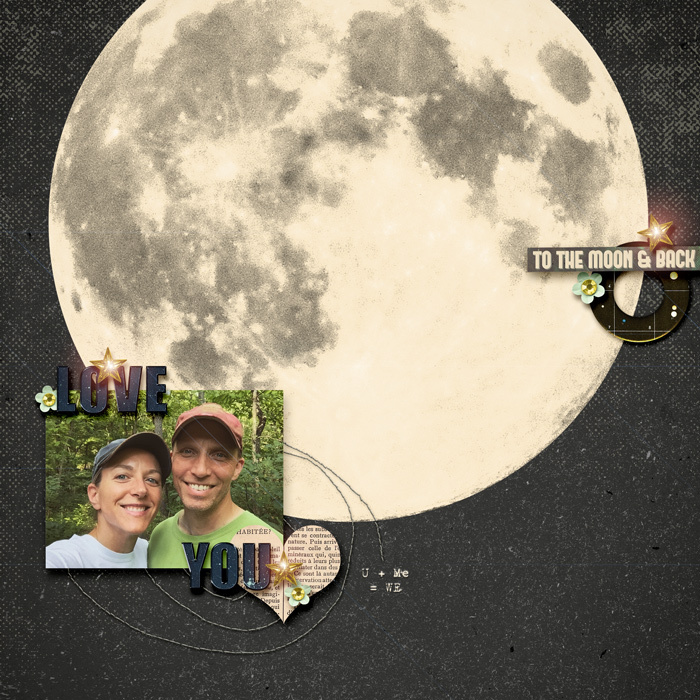 and two layouts from me – the first layout uses a template by Crystal Livesay, a new designer at Sweet Shoppe! 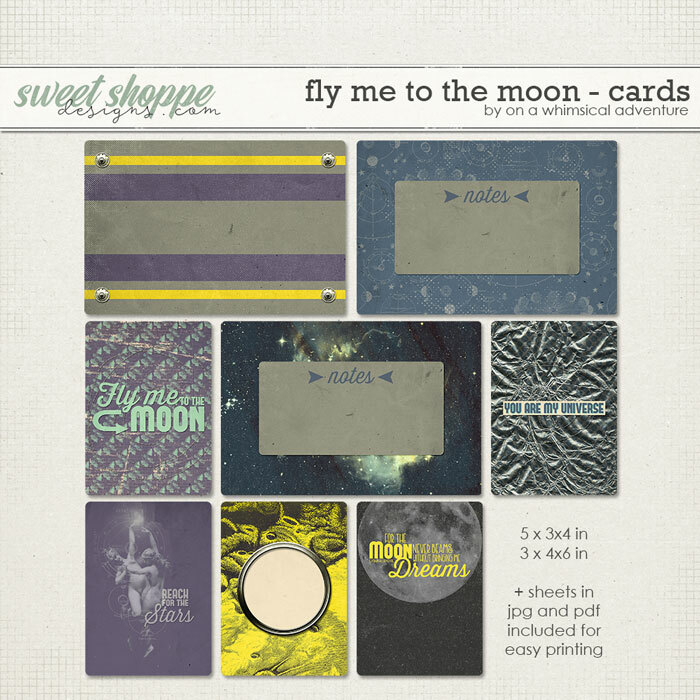 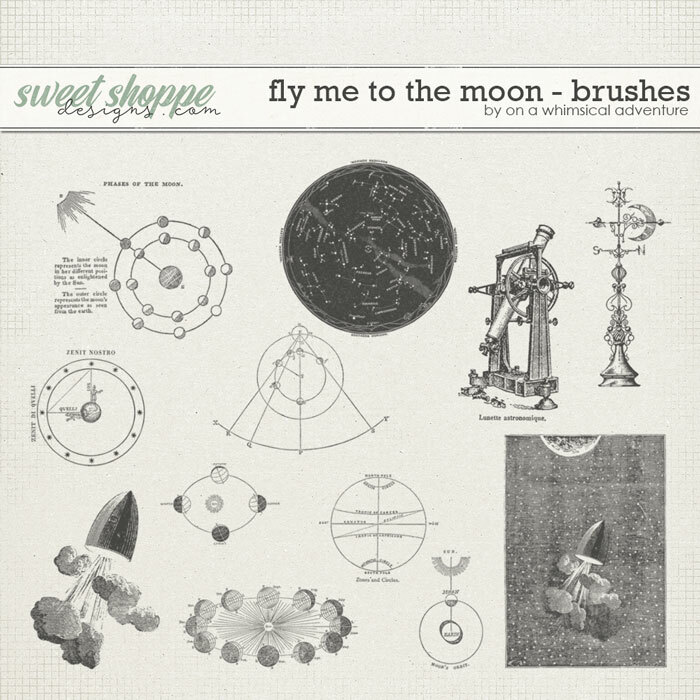 I also made a layout using Fly Me To The Moon and Whimsical Templates Vol02 – another re-release at Sweet Shoppe Designs this weekend! 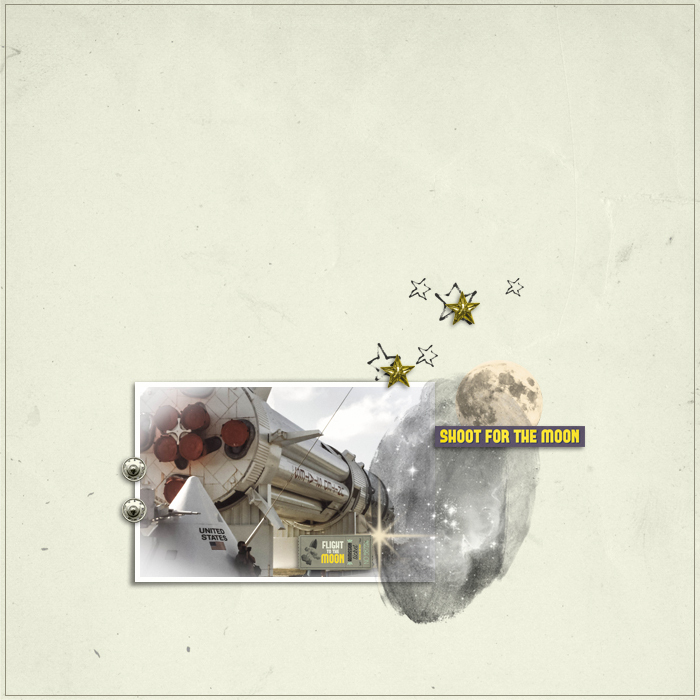 I added some lights from the 365 New Chances Lights pack, available here. 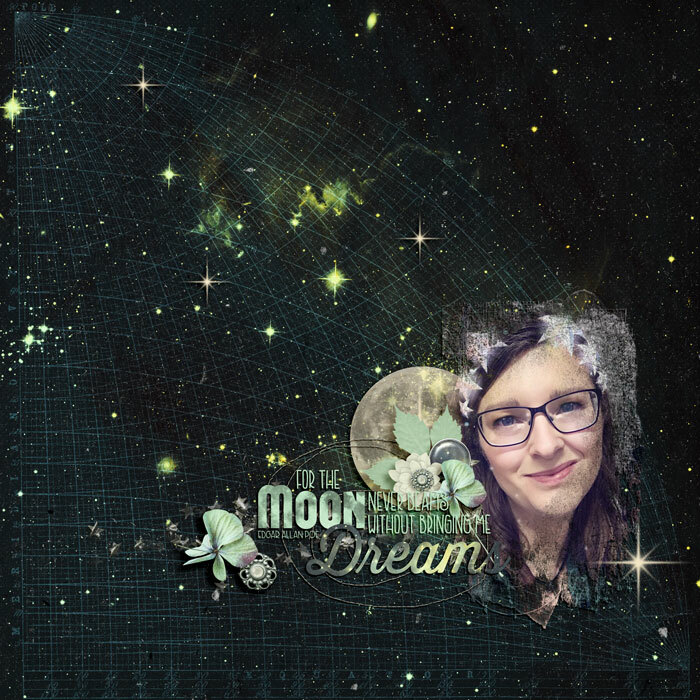 There are more layouts in the previews in my shop at Sweet Shoppe Designs, be sure to check those as well! 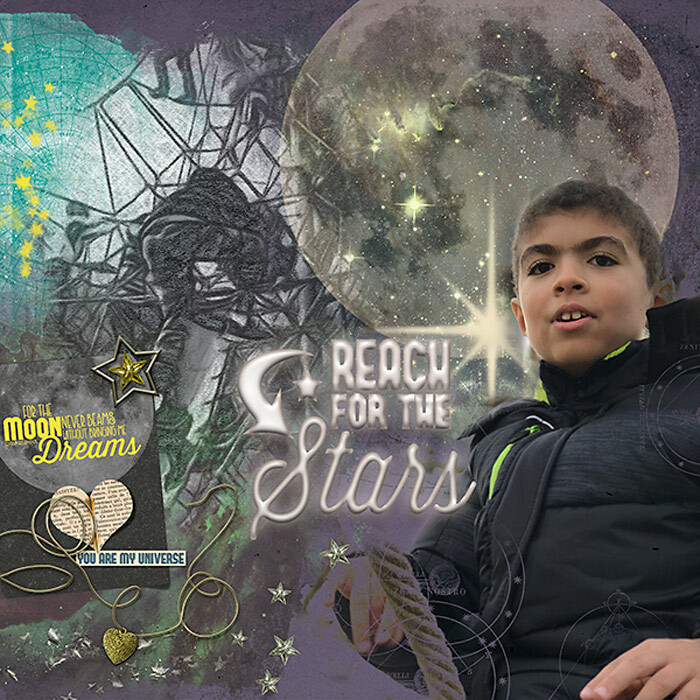 And with this last post of 2016, I would like to wish you all a very happy, healthy and prosperous 2017!